Dr. Todd opened On Point Animal Hospital in 2013. Growing up in South Florida, Todd developed a love for animals at a very early age. After finishing his undergrad at University of Florida, Todd attended Ross University School of Veterinary Medicine where he graduated in 2007. After finishing clinicals at Auburn University School of Veterinary Medicine he moved to South Carolina to practice. Dr.Todd's love of pointers, especially German Shorthaired Pointers led to the creation of the practice's name. Currently Todd and lovely wife Marissa own 2 Multi-poos named Copper and Louie, as well as Tucker the rat terrier and Hal the golden/boxer mix. When not working, Todd enjoys Camping, hiking, fishing, and spending time outside with his dogs. 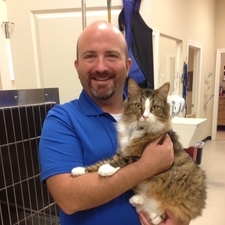 Dr. Todd is currently on the Board of Directors at the Humane Society of North Myrtle Beach. He was the Past President of the South Carolina Association of Veterinarians. Dr. Meg grew up in beautiful Isle of Palms, South Carolina outside of Charleston. 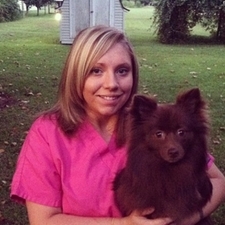 After finishing her Bachelor's degree at Clemson, Meg graduated from Ross University School of Veterinary Medicine in 2012. 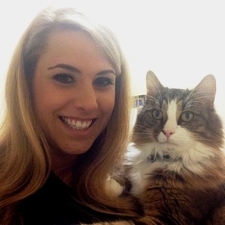 After Finishing her last year of Vet School at Auburn School of Veterinary Medicine, Meg moved back to South Carolina. 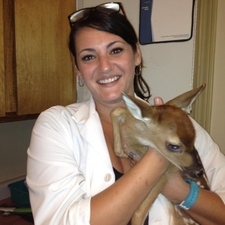 Meg enjoyes working with small animals and is proficient in her skills in Veterinary Acupuncture and Chinese Herbal Medicine. 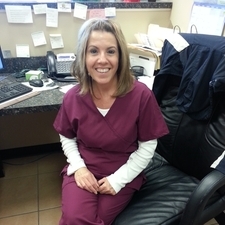 Marissa is from Murrells Inlet, South Carolina and enjoys spending time with her dogs and husband. An avid Clemson fan, she looks forward to weekends in the fall. Marissa is our office manager. Debbie opened On Point Animal Hosptial with her daughter Marissa and her son in law Dr. Todd. She has a passion for pets and loves working at the hospital. The "Voice behind the phone", she usually is the first and last person you see when coming in for an appointment. Although not trained in therapy, she usually doesn't mind lending an ear to our clients. She is the proud owner of two adorable dogs, Ben and Bentley. Kelsey is a veterinary techncian at the hospital. Originally from New York, she enjoys spending time with her two dogs. Cletus is our resident feline greeter. Cletus came to us in 2013 and enjoys sunbathing, head scratches, and hissing at other cats. 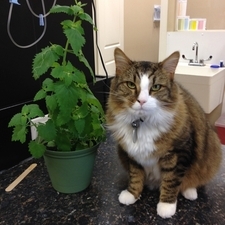 Cletus is also a connoisseur of fresh, organic cat nip.